You agree to receive any earned commissions through PayPal or Payza only.� Commissions are paid only to members who directly refer other members who might purchase an upgrade to receive additional advertising packages. We have a 1 tier affiliate program and there is no 2nd tier affiliate program or MLM structure involved with our site at all.� You are not required to upgrade in order to receive commissions. By joining AdsTrafficLeads.com YOU AGREE TO RECEIVE EMAILS FROM admin@adstrafficleads.com or no-reply@adstrafficleads.com. Please add these email addresses to your address book and mark all emails from AdsTrafficLeads.com as NOT SPAM. This is to ensure all members get verification emails as well as website updates, commissions info etc. Again, these emails may be for updates, account issues, AdsTrafficLeads.com promotions or anything that AdsTrafficLeads.com needs to relay to all members. If your email address bounces or sends back AdsTrafficLeads.com a message with an autoresponder, you risk having your account deleted. All referrals and COMMISSIONS will be lost if your account is deleted. AdsTrafficLeads.com is an information marketing tool used to help it's members on the Internet. AdsTrafficLeads.com does not make any promises written or implied as to the amount of money that can be made from AdsTrafficLeads.com. It is your responsibility to make sure your payment email address is correct. Commission payments made to the wrong account because of an incorrectly entered id is your responsibility. All policies, rules and regulations are the final decision of AdsTrafficLeads.com. We reserve the right to modify, add or change any policies as we deem necessary at any time. All members agree that they will not hold AdsTrafficLeads.com liable for any items or policies within this program. Once you pay for your membership or advertising, if you would like a refund it must be requested within 3 days.� Simply submit a support ticket stating that you would like a refund with your payment information. Your refund will be sent and your account will be deleted. You will lose any earned commissions and will not be eligible for payment. By joining and paying for any paid portion of AdsTrafficLeads.com, you agree to all the terms and conditions on this page.� After 3 days of purchase, you will not be eligible for a refund since advertising is credited to your account instantly and your account is upgraded instantly if you purchase an upgrade. AdsTrafficLeads.com has a zero tolerance for spam. Anyone caught spamming will be deleted from the program and is subject to civil and criminal prosecution including fines. If you are to include AdsTrafficLeads.com's name or URL in any email promotion, please only email to your own "double-optin" subscribers or on safelists, traffic exchanges, ad exchanges, list builders, classified ads, ppc marketing and other legitimate forms of advertising. To send unsolicited emails to anyone that is not on your own personal double-optin list. If this does not make sense to you, then do not include promotions for AdsTrafficLeads.com in emails. To falsify user information provided to AdsTrafficLeads.com or to other users of the service in connection with AdsTrafficLeads.com, or any of it's other sites. To use the AdsTrafficLeads.com name and URL via bought commercial bulk email lists is prohibited. AdsTrafficLeads.com considers the above practices to constitute abuse of our service and of the recipients of such unsolicited mailings and/or postings who often bear the expense. Therefore, these practices are prohibited by AdsTrafficLeads.comterms and conditions of service. Engaging in one or more of these practices will result in termination of the offender's account. Nothing contained in this policy shall be construed to limit AdsTrafficLeads.com actions or remedies in any way with respect to any of the foregoing activities. AdsTrafficLeads.com reserves the right to take any and all additional actions it may deem appropriate with respect to such activities, including without limitation taking action to recover the costs and expenses of identifying offenders and removing them from the program. In addition, AdsTrafficLeads.com reserves at all times all rights and remedies available to it with respect to such activities at law or in equity. By becoming a member of AdsTrafficLeads.com, you agree to all of the above terms and conditions. 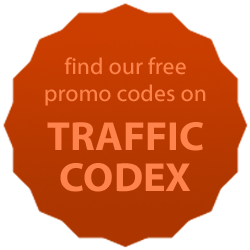 "Free Ads.. Free Traffic.. Increase Profits!"